Automobile Trusts are designed to protect you and your family from automobile based liability. While you may think insurance will protect you, you may be wrong and if you have assets at risk, you should consider a trust designed to protect you from the liability associated with vehicle ownership. In Florida, both the driver and owner of an auto are responsible for the damage done with that car. This can create problems when the owners and drivers include both spouses. There is risk because the assets that would normally be protected as TBE as well as each of the spouses' individual assets are placed at risk. You do not want to put your vehicle in your revocable trust. An Auto Trust is a special irrevocable trust that removes the incidents of ownership from you and your spouse. Often lawyers recommend that each spouse's car should be titled in their own name and they should be the only one who drives the vehicle. While this sounds easy, in reality it rarely works because your spouse will drive your auto and you will drive your spouse's auto. We see many clients who title the autos in both spouses' names. This is complicated further when there are children or young adults driving vehicles owned by one or both of the parents. While the parent who takes a child for a learners permit and drivers license is personally responsible for damage done by the child driver, it is not necessary to put the assets of both parents or the other parent at risk by the way the car is titled. When your child turns 18, the cars should be removed from your name to avoid continued liability. A better solution is to use a special type of trust know as an Auto Trust or a vehicle trust to hold the title to a vehicle such as a car, trust, boat, or personal watercraft. We recommend a trust for each vehicle, boat or PWC to limit the domino effect that could occur. This way the liability is limited to the equity in a vehicle. As these cases can take a long time to resolve, the value will continue to decrease and eventually be negligible. If a vessel is ever sold, the trust can be reused. Insurance concerns are resolved by contacting your insurance company and adding the trust as an additional insured. 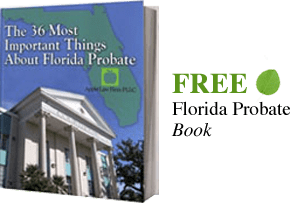 Auto Trusts are wise to consider when a family has assets that are at risk and should be part of any estate planning or asset protection review in the state of Florida. You may be thinking that you have insurance for these types of issues. You may even have a balloon policy for larger claims. The problem is that is there is a bad or multiple injuries, your policy may not be enough. Often, if people survive a bad accident, there can be millions of dollars of medical bills within the first few days or weeks. While some lawyers may only look to recover from insurance, many will look at who the party is and investigate what other assets are reachable. If you would like to discuss an Auto Trust or to have an asset protection review, Contact one of our Florida Auto Trust Lawyers in our Jacksonville office by email or by calling the Jacksonville office at 904-685-1200.